Chemotherapy tips: Ask for warm hats! Everyone knows that chemotherapy can cause your hair to fall out. Not every chemotherapy regimen causes hair loss, and not every regimen affects every patient the same way. Nevertheless, standard chemotherapy works by killing fast-growing cells indiscriminately. It doesn’t distinguish between hair follicles and cancer cells. Hence, hair loss. One always hopes to lose some cancer along with the hair. I found that there was plenty of information about how to manage my appearance during and after hair loss: consider a short haircut before your hair starts falling out, consider having your head shaved once it starts falling out in earnest, go to a “Look Good… Feel Better” workshop (I did the haircut and the shave, but not “Look Good… Feel Better”). 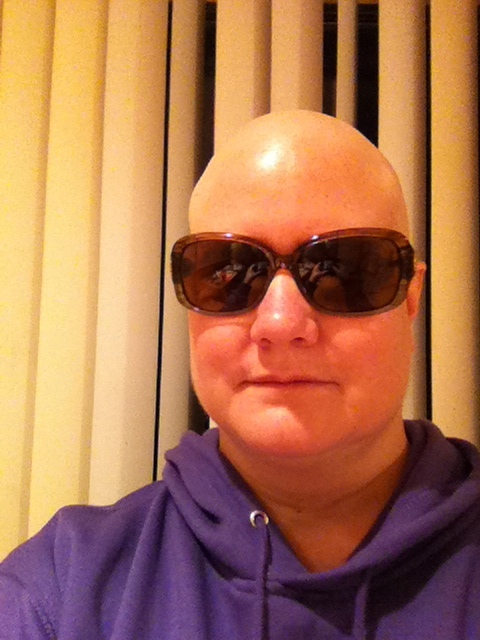 Medical insurance will often pay for a wig (I didn’t care for one – I thought the Dr. Evil look worked for me). No one told me, though, how COLD I would feel with no hair! In the winter, I often found myself shivering. My head often felt cold at night. Feeling chilly often seemed to aggravate my queasiness. Friends and family sent me many hats from far and wide. The hats that turned out to be the most useful, however, were not necessarily the cute adorable hats, but the warmest, most snuggly hats. They had to be soft as well as warm, since my shaved head couldn’t tolerate any itchy fibers. 100% acrylic knit caps were often the most comfortable. When my head was warm enough, I felt a little better all over. 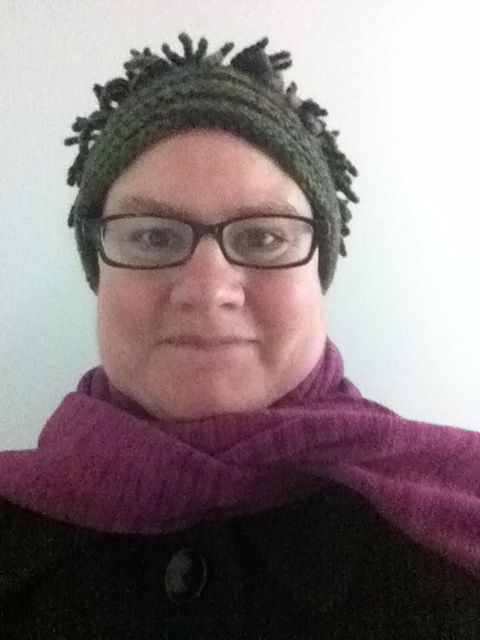 3 Responses to Chemotherapy tips: Ask for warm hats! I was once lying with my mom in her bed. I don’t know why I was running my hands on her legs, but I said “Wow, mom, you’re so clean shaven!” She just laughed and laughed. It didn’t occur to me that when you lose you hair, it doesn’t just happen on your head! Right? Losing my eyelashes, though, almost sent me over the edge. It looks like you still have eyebrows though. That gives your head some… depth? I also meant to say… bald looks good on you!